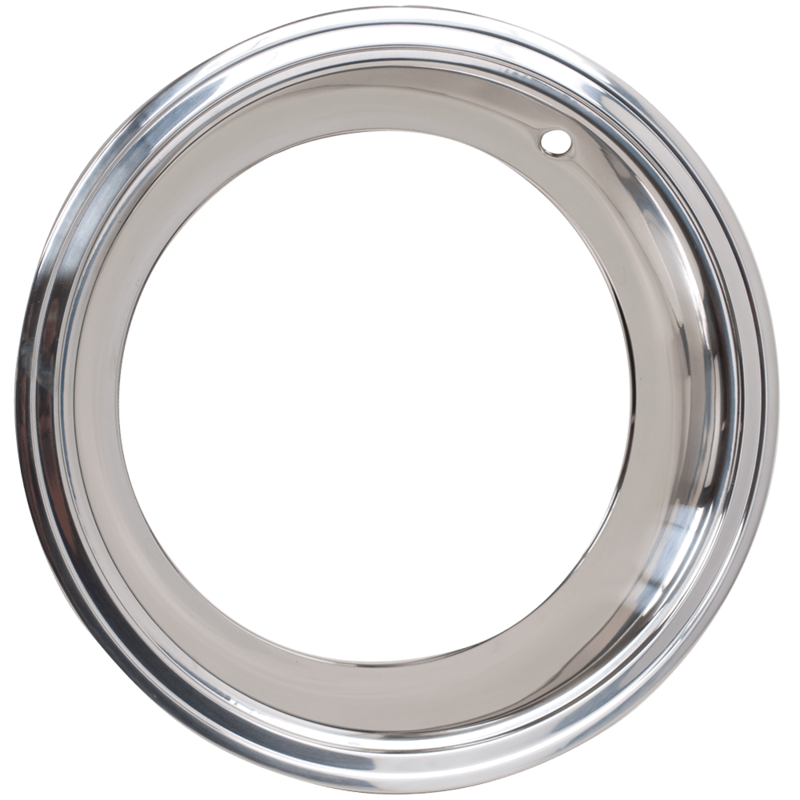 This trim ring is 15 Inch x 3 inch stepped stainless steel with a gleaming polished finish. 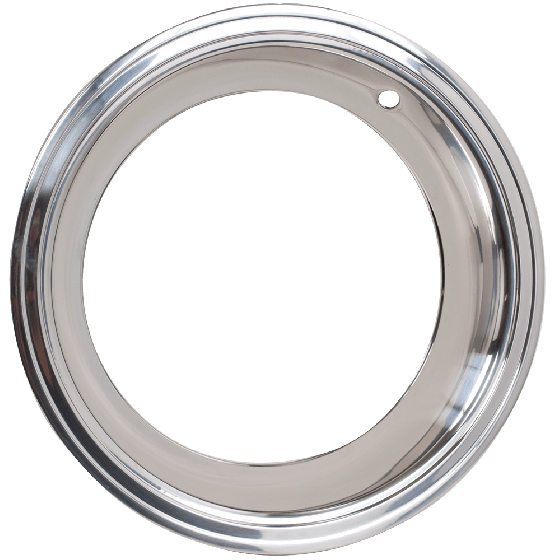 15 inch trim rings are a very popular size, and these stepped stainless trim rings are an excellent accessory for original or new steel wheels. These beauty rings 15 inch size make them a great choice for many custom and stock applications. They feature quality stainless steel construction with a stepped outer edge and a fully polished finish. 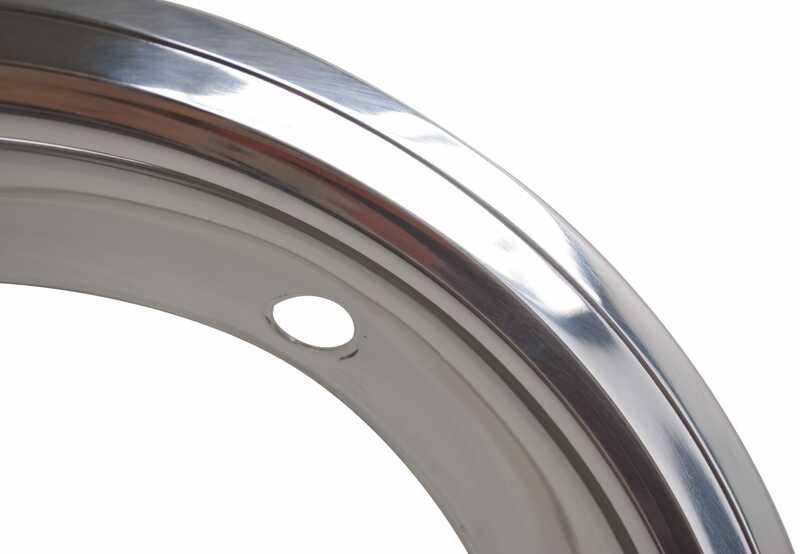 This trim ring fits 15x7, 15x8 and 15x10-inch Mopar Rallye wheels. Will this trim ring fit the 15 x 7 Chrysler Road Wheel? Yes, this 3" stepped trim ring should work just fine with the 15x7 Chrysler Road wheel. will this trim ring also work on 15 x 8 inch chevy rally wheels? This trim rin wil work on most 15x7 and larger steel wheels. We will need more information such as what wheels you are using in order to properly assist you. Please contact us at 1-800-251-6336, or support@coker.com.